Using their wildly popular new Instagram account, Harry and Meghan have personally thanked the fans who organized the #globalsussexbabyshower and donated to charities associated with Meghan in her honor. The fundraising campaign started on Twitter, the Daily Mail explained; a fan account suggested donating to the Mayhew animal rescue, Well Child, and CAMFED, the Campaign for Female Education. After the donations began rolling in, the pair responded directly via their Instagram, writing: “What an incredibly special surprise the grassroots led #globalsussexbabyshower was last Sunday! 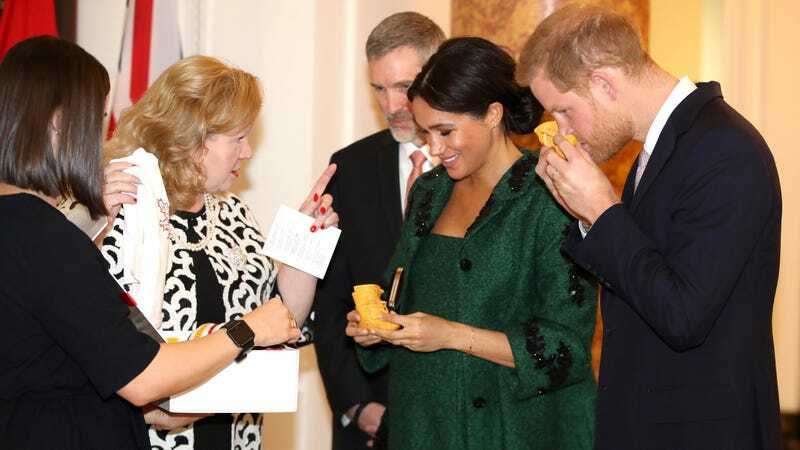 The Duke and Duchess of Sussex are immensely grateful for the outpouring of love and support in anticipation of the birth of their first child.” They also suggested other organizations, including Lunchbox Fund, Little Village HQ, and Baby2Baby, with a focus on helping children in need, and followed with posts on each group. Your homework assignment for the day: Would Prince Albert have been an online influencer? Why or why not? Explain your reasoning.